Additional Features: 50 Amps, Cable/Sat TV, Wi-Fi, Farm Bureau, Full Hookups, Pull-Thrus Discounts: 20% Good Sam, Seniors, AARP, FMCA, Military/Veterans and more.Facilities: Laundry, Pavilion, Restroom & Showers Services: RV Supplies, Propane Station, Free Wi-Fi, Food and Car Rental delivery to sites RV: 76 Full-Hookup sites, Water, Sewer, Electric 30/50 Amp, Lever pull-thrus and back-ins with room for slide outs and tows. Daily, Weekly and Monthly extended stays.Open: Year round, Limited Facilities approximately Nov. 1 – Apr.Pets: Breed restrictions, No Doberman, Pit Bull, Rottweiler, Chow and Wolf Hybrids Attractions: Black River Coliseum, Water Park for family fun, Black River Float Trips, 18 hole Golf Course, City Park with paved walking and running trails, Bike trails in National Forest, Flea Markets and Antiques, Margaret Harwell Art Museum, Railroad museum, 8 showplace Theater, Rogers Live Theater, Large Historical Library, Three Rivers Community College. You can stay and enjoy the area or make us a convenient overnight stop. Family owned and operated since 1982. Close to town for everyone’s shopping, dining, and entertainment needs. Offering a country/rural setting in the forested hills. 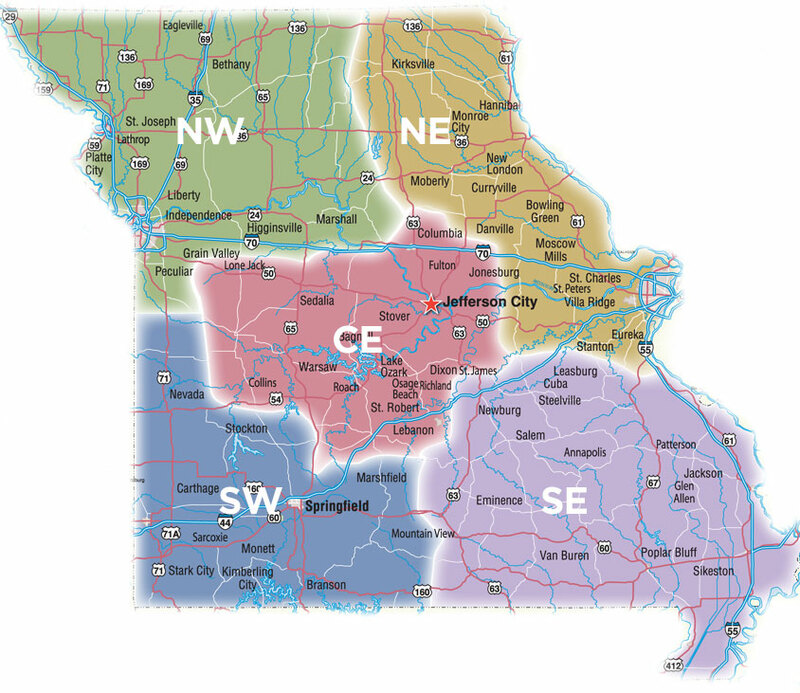 We are centrally located between Branson MO and Nashville TN or Little Rock AR and St. Louis MO for your traveling needs. Come enjoy all the beauty and activities this area has to offer. From our campground family to you. May all your travels be safe ones.